Idaho DUI laws call for a mix of jail time, fines and programs to punish and even help offenders. While you may spend 6 months in jail after 1 Idaho DUI, there is a chance you are forced into alcohol rehabilitation treatment. A 2nd Idaho DUI offense and there is a work detail program with the county sheriff. Treatment is likely necessary as well as an ignition interlock device to prevent you from committing another Idaho DUI. 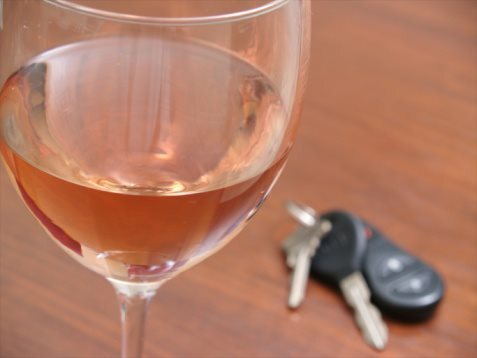 Idaho DUI laws restrict a driver from driving with a blood alcohol content of .08 or more. A commercial vehicle driver must stay below .04 and drivers who are under the legal drinking age will be charged with a DUI if they are at .02 or more. Young people need to realize that it does not take more than a beer or two to reach the .02 level. It does not matter how sober you feel, if you are caught drinking any amount and are under 21 then that is illegal and if it is put together with driving there will be harsh penalties under Idaho law on DUI. One Idaho DUI can land you in jail for up to 6 months. The guilty person can be charged a $1,000 fine. Idaho DUI laws have the right to suspend your license for 180 days and may order you to drive with a restricted license for 30 days following the suspension. It is also possible the court orders you to undergo alcohol evaluation and treatment. Receive a second Idaho DUI you may be subject to a minimum of 10 days in jail with the possibility of serving up to 1 year. It is after the 2nd offense that the court may order the guilty person to enter a sheriff's work detail program. This is an alternate method to punishing for DUIs for those that do not respond to possible jail terms. Idaho also enforces an ignition interlock device which serves to protect the public from chronic drunk drivers. The ignition interlock device is an example of a Idaho DUI law that is a great tool for monitoring past Idaho DUI offenders that does not require surveillance from an actual person. The Idaho DUI laws for the third offense are also true for all future Idaho DUI violations. It is a felony charge that carries a sentence of 5 days, up to 5 years. There is a fine up to $5,000 and a license suspension ranging from 1-5 years. If the offender is allowed to drive again they must use an ignition interlock device. The offender may also undergo possible alcohol evaluation and treatment.